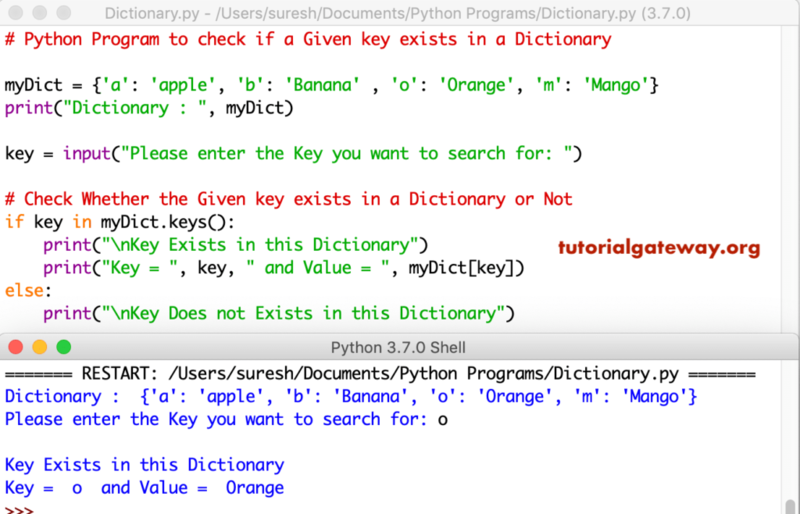 In this article, we will show you, How to write a Python Program to check if a Given key exists in a Dictionary with practical example. In this python program we are using if statement, and keys function to check whether the key exists in this dictionary or not. If true, it will print the Key Value. This program is another approach to check the given key is present in a dictionary or not. In this program, we are using get function to check whether key exists or not.